Mallory's search for happiness leads her to a faraway place. There she finds heartache, betrayal--and danger. Can the only man she's ever loved rescue her before it's too late? Mallory Hammond is determined not to let her boyfriend, parents, or anyone else get in the way of her #1 goal--to save a life. She had that chance when she was a teenager, and the opportunity slipped away, leaving a void she's desperate to fill. Then a new friend she met online offers her the chance she's dreamed of. But she'll have to leave behind everyone she loves to take it. In a bold move--and with lots of resistance from Tate and those closest to her--Mallory decides to travel across the world to fulfill her dream. 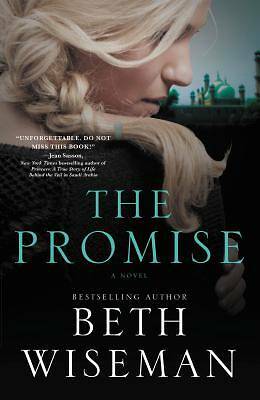 Tate begs her not to go, but Mallory embarks on the dangerous journey to Pakistan anyway, only to discover how swiftly and easily promises can be broken. Her new friend isn't who he says he is. And Mallory can only pray she'll make it out alive. Inspired by actual events, this riveting story will take you on a wild journey and have you asking yourself: How far would I go for love? "Bestselling author Wiseman encourages readers to think through their feelings about Islam, Christianity, faith, love, and what it means to help others. Her novel will challenge, encourage, and stimulate discussion among her loyal fans and first-time readers." --"Publishers Weekly"